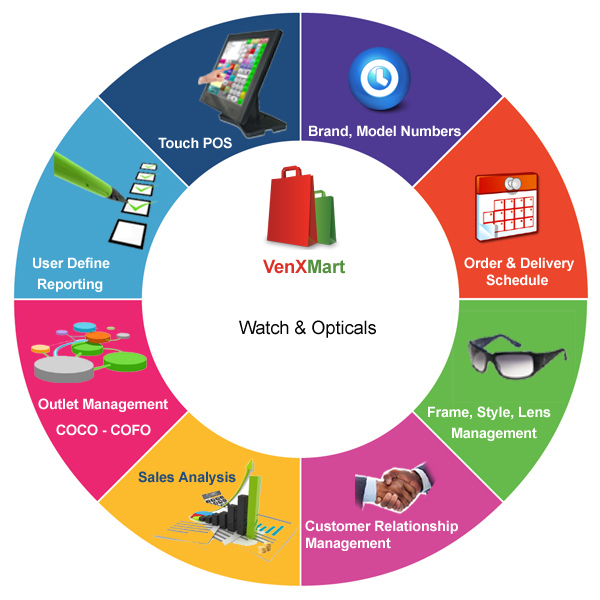 Latest technologies used in VenXMart Software enable you to efficiently manage the inventory of optical and watch showroom and produce better results on that. The unmatched flexibility of VenXMart’s software technology gives you the power to build products the way you want, using your own unique construction and machining methods. Keeping product details along with Brand, Model Number enables more flexibility to track the stock quantity and item sold quantity for a particular sequence of attributes. This gives a much control on Inventory as well as Customer Relationship Management. Keeping product details along with Frame, Style, Lens enables more flexibility to track the stock quantity and item sold quantity for a particular sequence of attributes. This gives a much control on Inventory as well as Customer Relationship Management.